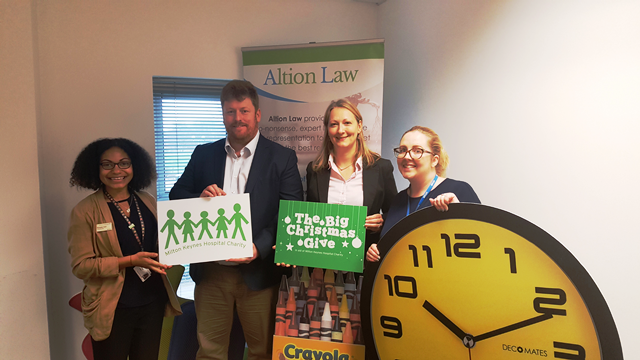 LOCAL company Altion Law are supporting Milton Keynes Hospital Charity’s Big Christmas Give Appeal. This week the local business generously donated £250 to the appeal, to help make a difference to patients and visitors in hospital. The Big Christmas Give appeal is funding a wish list of items to benefit patients and visitors at the hospital. 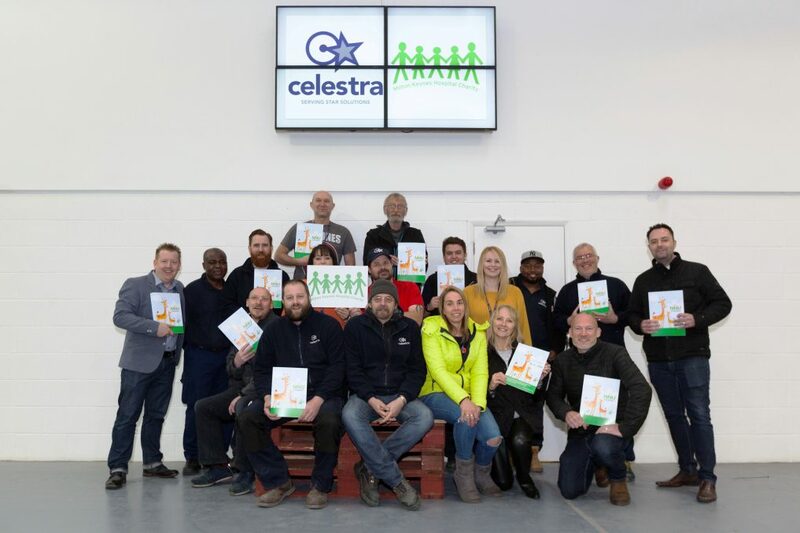 Supporting the children’s wards, cancer services and patients with dementia, some of the items on the wish list include sensory items for patients with dementia, iPads and play equipment for young patients as well as more comfortable chairs, hot water bottles and fans for the chemotherapy unit. To support the appeal please visit www.justgiving.com/mkhcharity (look for the Big Christmas Give logo), text HOHO11 £3 to 70070 or contact the fundraising team on 01908 997316 / fundraising@mkuh.nhs.uk. L-R Michaela Clark from Milton Keynes Hospital Charity, Directors Anthony Galvin and Rebecca Hudson from Altion Law and Hayley Coomber from Milton Keynes Hospital Charity. 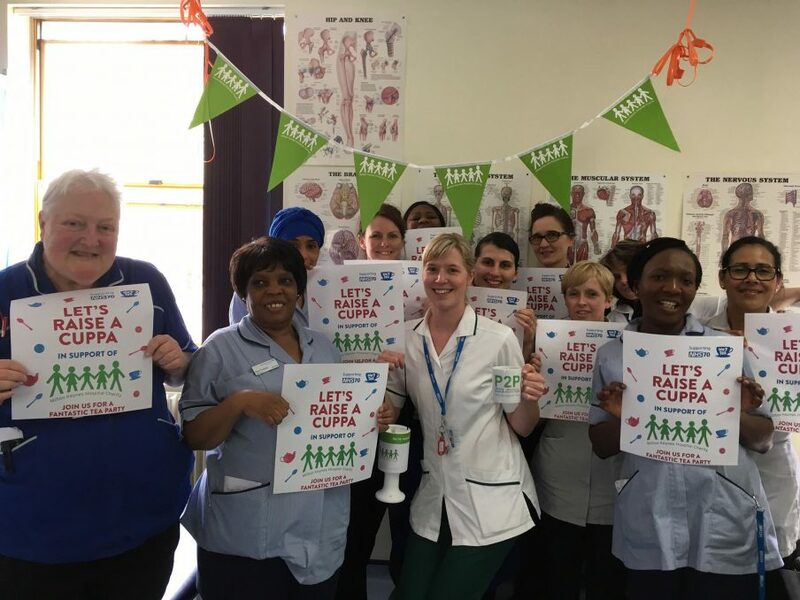 Milton Keynes Hospital Charity raises funds to enhance the experience of thousands of patients at Milton Keynes University Hospital. People can support any ward or department. For more information please contact fundraising officer Michaela Clark on 01908 997316 or fundraising@mkuh.nhs.uk.